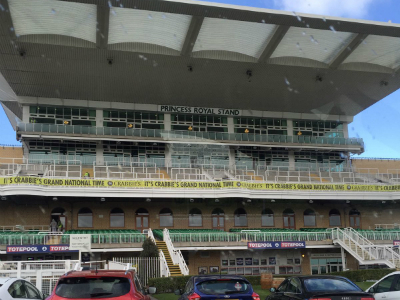 Aintree Racecourse in Liverpool is one of the most famous racecourses in the UK and is best known for annually holding the world-famous Grand National steeplechase. In 2016, APCO were brought in to do a full refurbishment of the lights within the Princess Royal stand in the stadium. 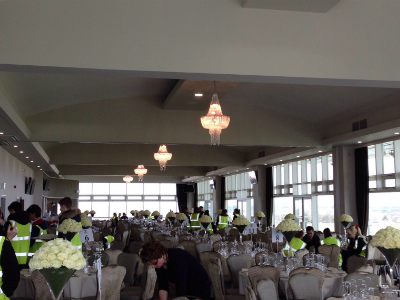 The work consisted of upgrading the existing lighting to LED lighting and covered the bar lighting and full sized chandeliers within the top floor of the stand building, the toilet areas and the common areas. The power system to the perimeter walls was also upgraded to allow for the installation of TV screens with aerial points. 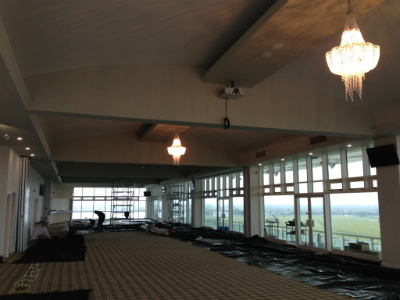 This job was completed to a professional standard within a very short space of time, as the stand needed to be ready in time for the opening of the 2016 Grand National Meet.